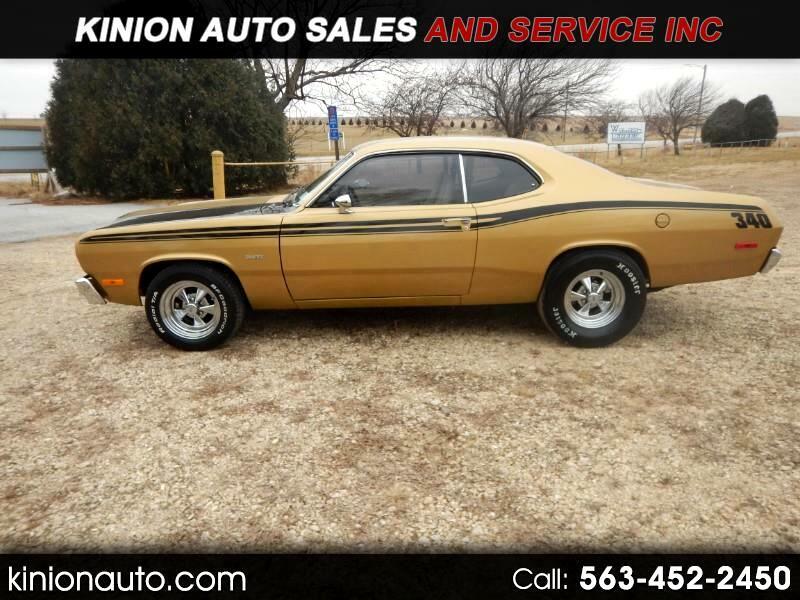 Used 1973 Plymouth Duster for Sale in Clarence IA 52216 Kinion Auto Sales and Serivce Inc. This Original 340 Plymouth Duster is Now a 408 CI Stroker With a Roller Cam, Dana 60 Rear End, 3.73 Gears, Tremec 5-Speed Transmission, Hoosier Street Slicks, 4-wheel Disc Brakes, Frame Connectors. The Engine Was Built by Hughes Performance. This is a Super Clean and Rust Free Car!!! Message: Thought you might be interested in this 1973 Plymouth Duster.